WE CARRY SEMI-PRECIOUS GEMSTONES, FRESHWATER PEARLS, CZECH GLASS, SWAROVSKI CRYSTALS AND PEARLS, SEA GLASS, A WIDE SELECTION OF SEA-LIFE CHARMS, AS WELL AS MANY OTHER STYLES OF CHARMS. WE CARRY A LARGE ASSORTMENT OF PIERCED EARRINGS, INCLUDING STERLING SLIVER, 14K GOLD-FILLED, AND COPPER AND GUNMETAL FINISH. WE ALSO CARRY CLIP-ON EARRINGS. 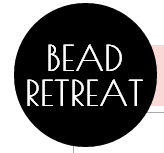 NEW TO BEAD RETREAT BOUTIQUE, A GROWING SELECTION OF SEED BEADS. GREAT QUALITY AT AFFORDABLE PRICES. GUESTS CAN PURCHASE ITEMS TO MAKE THEIR OWN DESIGNS OR PURCHASE UNIQUE READY-MADE ORIGINALS; HANDMADE IN STORE. WONDERFUL IDEAS FOR YOURSELF OR A GIFT FOR SOMEONE SPECIAL. NEED A GIFT AND WANT SOMETHING DIFFERENT THAT THEY ARE SURE TO LOVE? COME IN AND PICK A SPECIAL PIECE OF JEWELRY FROM US THAT IS SURE TO THRILL THEM.